Custom engineered serial number and barcode labels that can be enhanced with logos, service instructions, warnings, and other data are available from Nameplates For Industry, Inc. of New Bedford, Massachusetts. NFi Serial Number Labels combine full-color images and graphics with variable data to enhance product identification and branding applications. 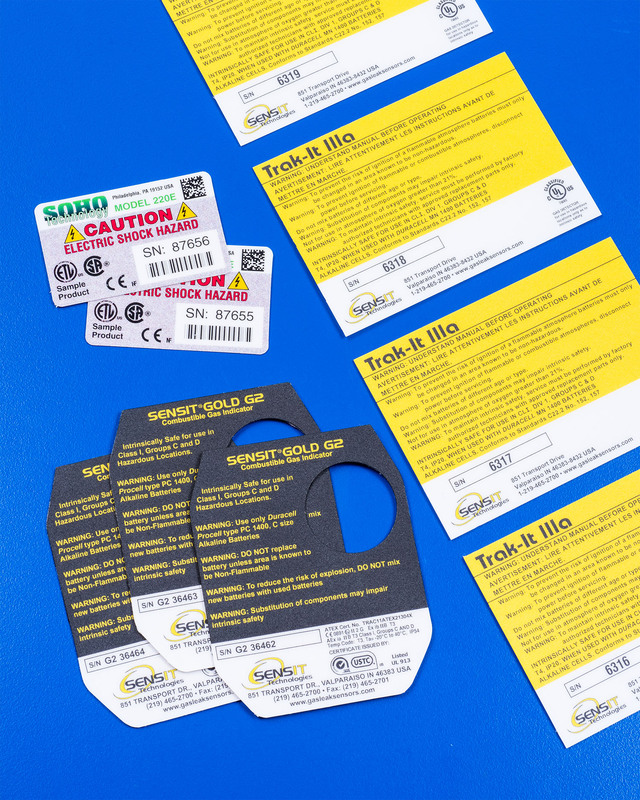 Custom made from materials and adhesive systems to match customer requirements with respect to solvent-, moisture-, and UV-resistance, these labels can include logos, service instructions, warnings, and other information. Featuring subsurface printing to protect the data and images, NFi Serial Number Labels can be produced in multiple colors and textures made from Mylar® (polyester), Lexan® (polycarbonate), and PVC with engineered adhesive combinations to adhere to smooth, textured, or powder coat surfaces. Sizes can range from 3/8” sq. up to 11” x 17”; supplied on strips. NFi Serial Number Labels are priced according to construction and quantity with one week delivery offered. Price quotes and samples are provided upon request.